Yeo Valley, makers of organic yogurts, have brought out a lower calorie version of their flavoured yogurts called Bio Light. 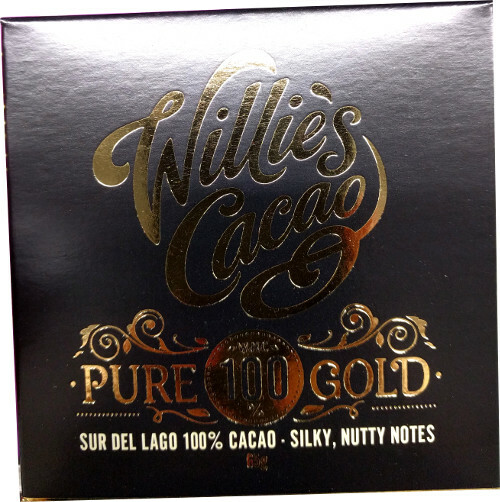 They’ve achieved a lower calorie status by removing virtually all the fat and around one third of the sugar. Bio Light yogurts are available in 100g pot sizes (packs of four) and 450g pots in the following varieties: Strawberry, Blueberry & Blackcurrant, Peach. All 100g pots contain around 65 calories. 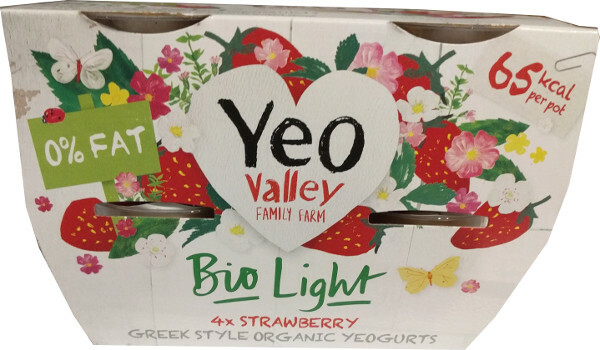 Yeo Valley are a well known organic dairy company with a wide range of plain and flavoured organic yogurts as well as ice cream, butter and milk. “What makes our Bio Light so special? 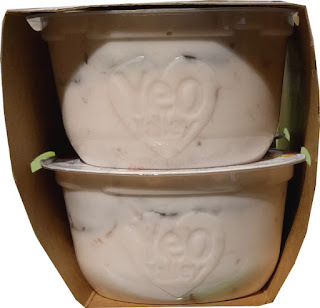 It's a heavenly blend of real organic fruit and our thick and creamy, fat free Greek Style Yogurt which is packed with lots of live bacteria. 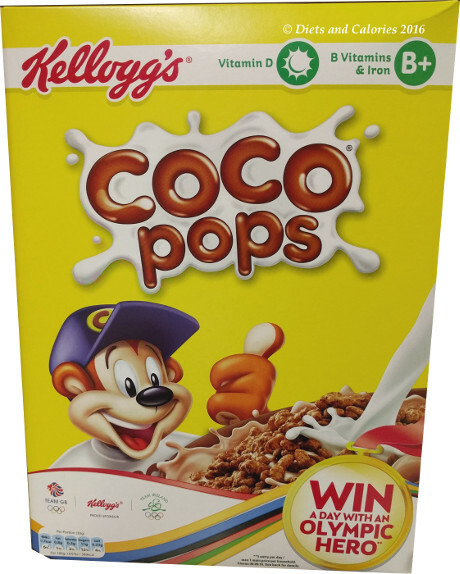 It's organic, so absolutely no artificial sweeteners or nasties in sight. Bliss! Contains the following Live Cultures: Bifidobacterium, Lactobacillus bulgaricus, Lactobacillus rhamnosus, Streptococcus thermophilus & Lactobacillus acidophilus. I decided to try the Strawberry yogurt to compare it with my current favourite – Danone Strawberry Light & Free. This strawberry yogurt is very pale looking with not too much in the way of fruit pieces. At first taste it seemed very bland with hardly any flavour. Eating a bit more, it reminded me of the Petit Filous fromage frais. 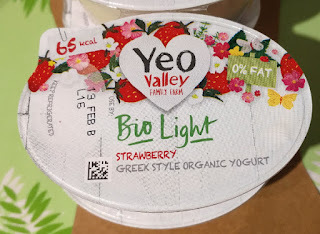 There’s a bit of a sharp undercurrent taste which did diminish as I persevered with the yogurt. 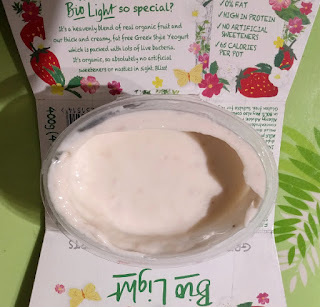 But, although I ate the remaining yogurts, the flavour wasn’t strong enough for me and I like to have bigger pieces of fruit. The yogurt isn’t particularly thin but not especially creamy either, which is to be expected when nearly all the fat has been removed! Also it is a Greek style yogurt so much of the whey will have been drained off so this helps to make it a bit thicker. However, the fat content in the original yogurts certainly isn’t high at just 3.8 per 100ml. I did find that swirling the yogurt into blended frozen strawberries with almond milk gave the yogurt the extra boost in flavour it needed and was much more enjoyable. 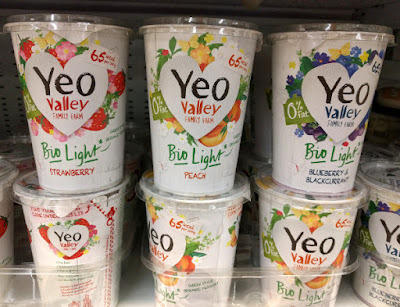 Below is a nutrition comparison with Yeo Valley’s original strawberry yogurt which is sold in 120g pots and large 500g tubs as well. 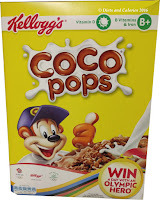 65 Calories, 0.2g fat, 0.1g saturated fat, 9.2g carbs, 8.6g sugars, 6.6g protein, 0.01g salt*. Calcium 171mg. *salt content is entirely due to naturally occurring sodium. 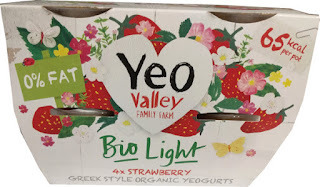 Organic Fat Free Greek Style Yogurt (Milk), Organic Strawberry (5%), Milk Proteins, Organic Sugar (3.4%), Organic Maize Starch, Natural Flavourings, Organic Concentrated Lemon Juice.